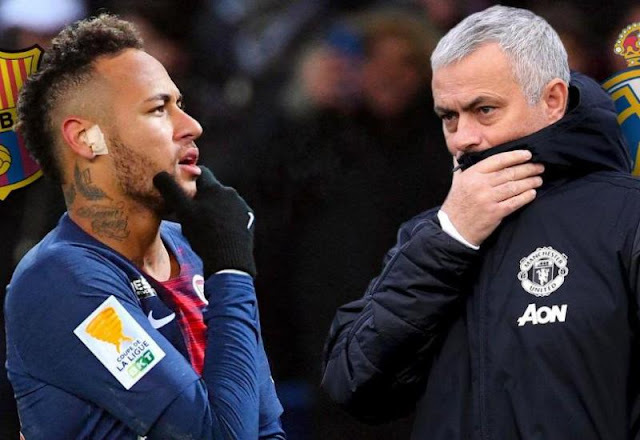 La Liga President Javier Tebas has admitted that Jose Mourinho returning to LA Liga will be a "great spectacle" and claims that the Portuguese will be 100% welcomed back to the League after been dismissed by Manchester United last month. The Portuguese is linked with a move to his former team Real Madrid and is reportedly a big deal for Real Madrid president Florentino Perez, despite appointing Santiago Solari as head coach until 2021. "It would not be a bad thing for La Liga," Tebas told Catalan radio station RAC1, when asked about a potential return to Spain for Mourinho. "He is a fantastic coach who has many qualities and it would be a great spectacle, it would be fantastic to have him here, but who knows what club would it be." PSG forward Neymar Jr, is also linked with ways move back to La Liga giants and that move is also welcomed by Texas, who believes La Liga needs more stars. "Neymar returning to Spain? We want as many stars as possible of course and he is one of the global stars," Tebas added. "But the important thing for us is to have a strong brand, like England's Premier League, and they have not had Ballon d'Or winners in many years."